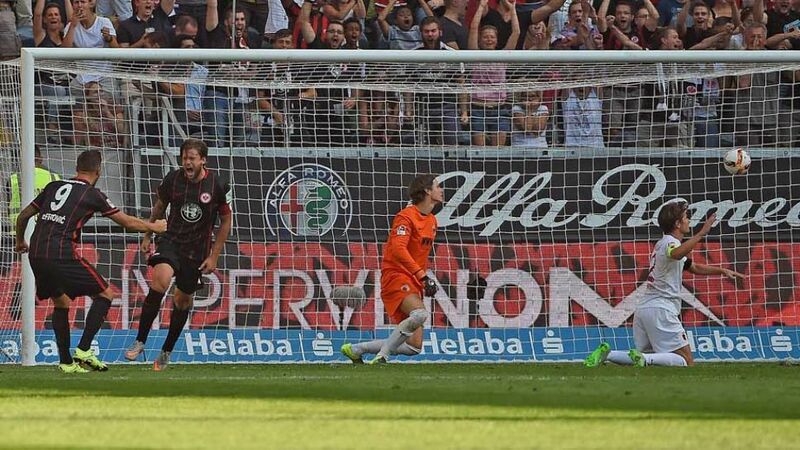 Frankfurt – Eintracht Frankfurt left it late to collect their first point of the 2015/16 campaign as Marco Russ’ 84th minute equaliser earned is side a 1-1 draw against FC Augsburg. Frankfurt may have registered the first shot on goal of the game, but it was Augsburg who assumed control early, taking a deserved lead shortly before the half-hour mark when Makoto Hasebe’s mistake allowed Caiuby to find the top corner from range. The visitors duly took the pace out of proceedings either side of half time as they set their stall to attack on the counter. Alexander Esswein squandered a handful of chances, while Dong-Won Ji should have put the game to bed with ten minutes to play. The missed opportunites duly came back to haunt Markus Weinzierl’s charges when Russ fired home from Luca Waldschmidt’s pull-back leaving neither side with time to find a winner.